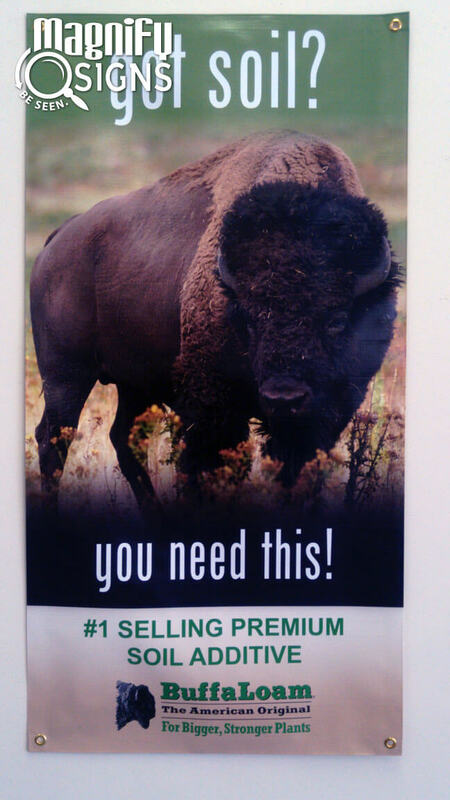 Banners (also known as Vinyl Banner Signs or Banner Displays) are the standard for temporary wide format print signs. Banner signs are made from an inexpensive fabric material with either custom cut vinyl or custom graphic prints mounted on the face. 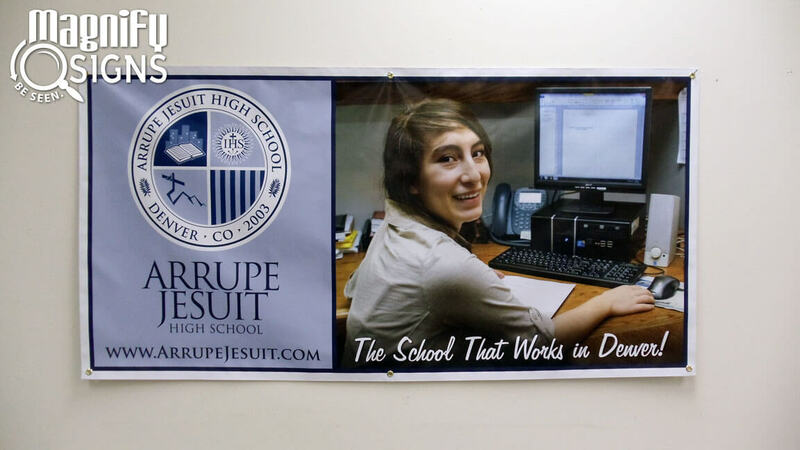 Banners can be used as a long-term or permanent sign, or used for company event signage. These signs don’t take long to produce, are re-useable, and, as always, custom. 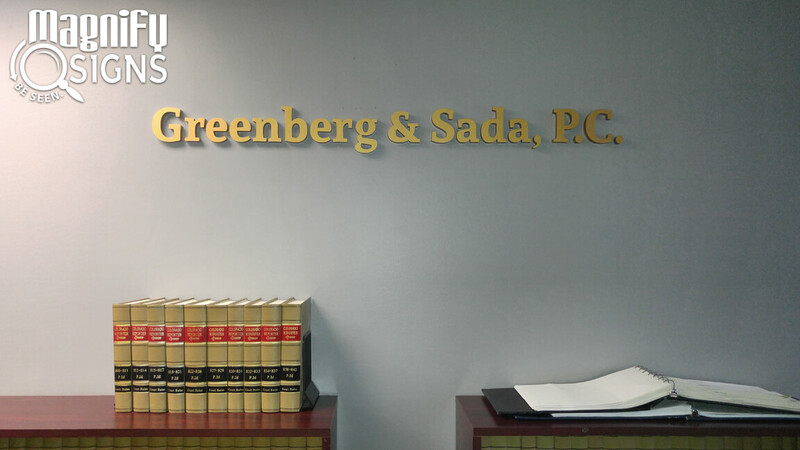 Your brand is your identity and we make it possible to build a stronger brand with a customized business sign. Custom banner signs give you the opportunity to express an updated and current version of your brand, since banner signs are created as needed and used for various events throughout the year. 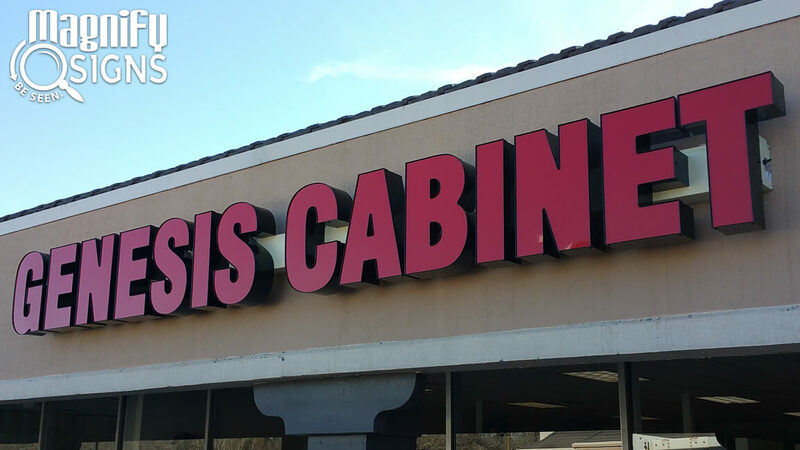 The best way to attract customers and help them find your business is by displaying a custom business sign expressing your unique brand. 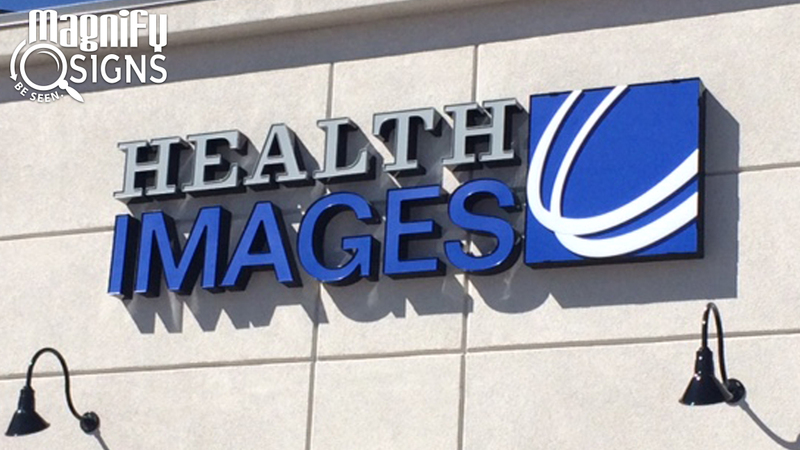 The signs experts at Magnify Signs are your best option for getting custom banner signs in Englewood, CO and the surrounding Denver metro area. What Makes Banners So Popular? They’ll turnover in a week’s time. 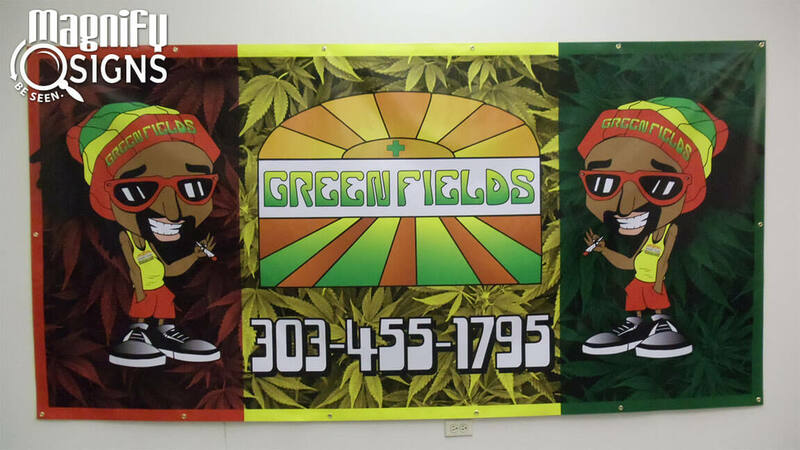 Once we finish creating a design with you for your banner, all we need is 5 business days or less to put the actual banner sign in your hands. They’re a must for event signage. Banners are relatively cheap and easy to produce, making them ideal for event signage. Banners can often be found overlooking an event with the company name and logo and the title of the event sprawled across the face. They can be reused for more than one occasion. 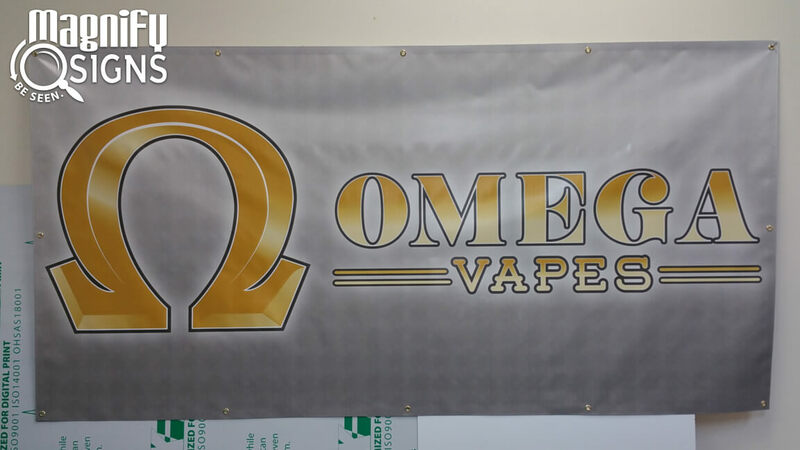 While banner signs are typically made for temporary use, they can also be easily rolled up and stored away to be used for the next occasion which calls for a custom logo banner sign. 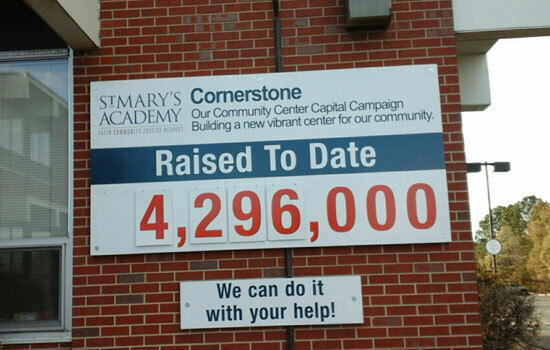 If you couldn’t already tell, we’re all about custom at Magnify Signs. Our banners are no different. We’ll work with you to create a design for a banner which expresses you and your company. 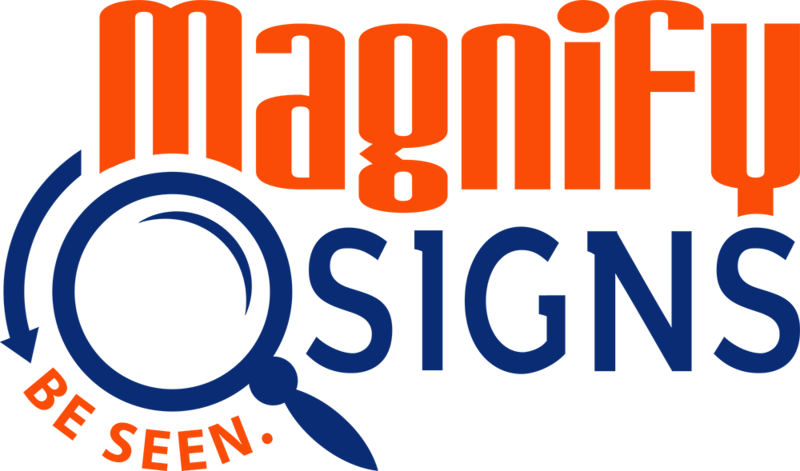 The sign experts at Magnify Signs understand that your business requires custom logo signage, highlighting your brand and location. 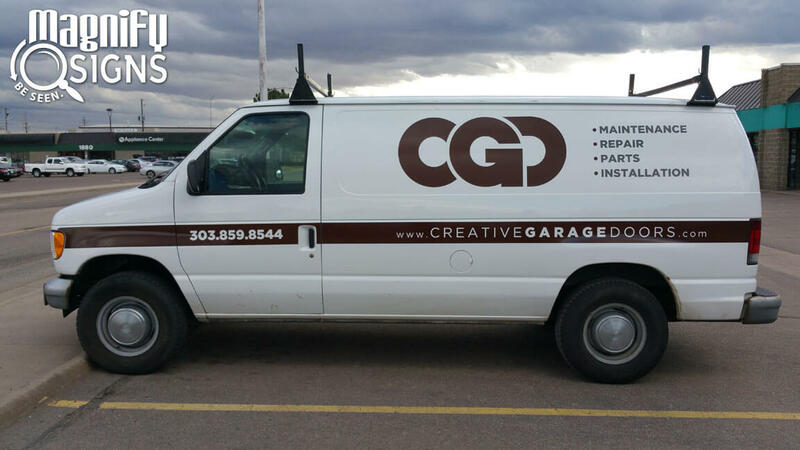 We proudly serve the business communities in and around Metro Denver: Denver, Englewood, Littleton, Lakewood Centennial, etc. 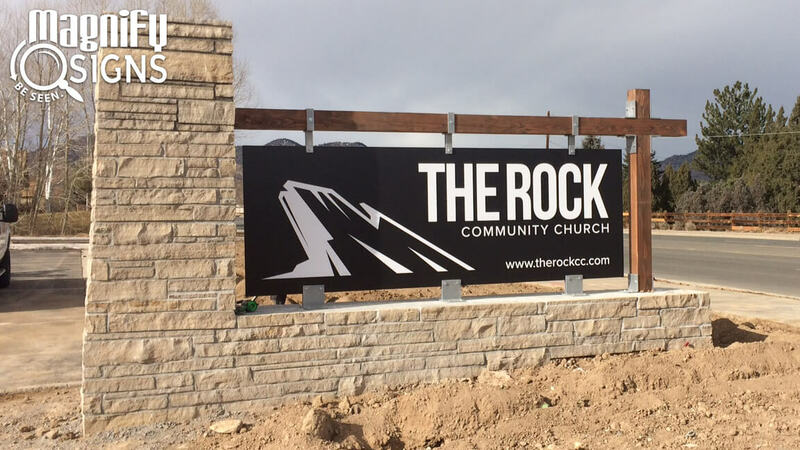 Call us today at 303-761-9592 to discuss how we can you can add to your building’s exterior signage or event signage with a new custom banner. We will work to understand your business’ needs and provide you with expert advice about your sign options. 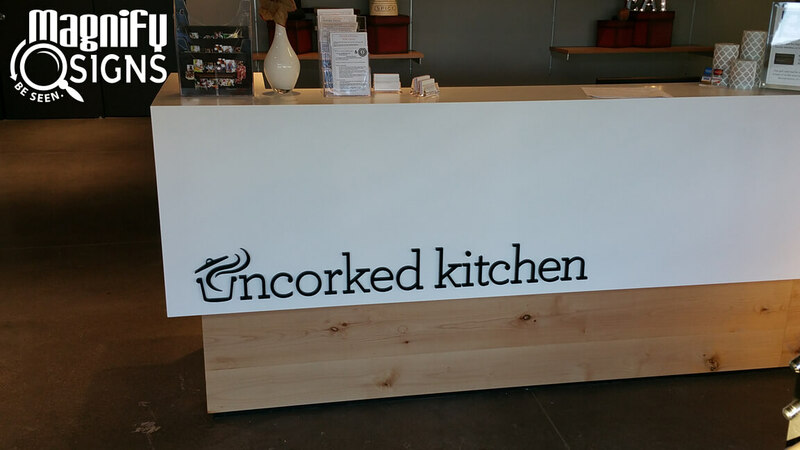 We want your signage to help your business Be Seen!